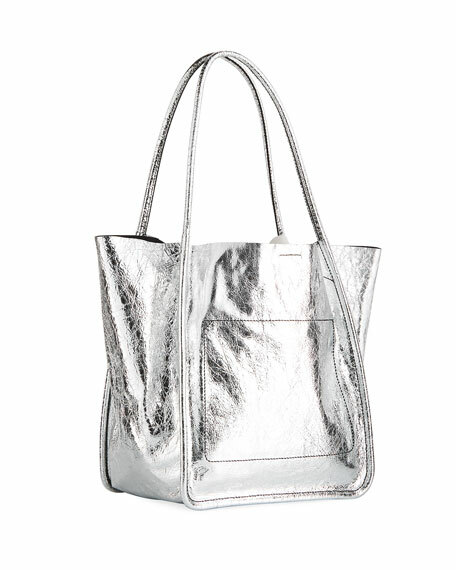 Proenza Schouler tote bag in crackled metallic leather. 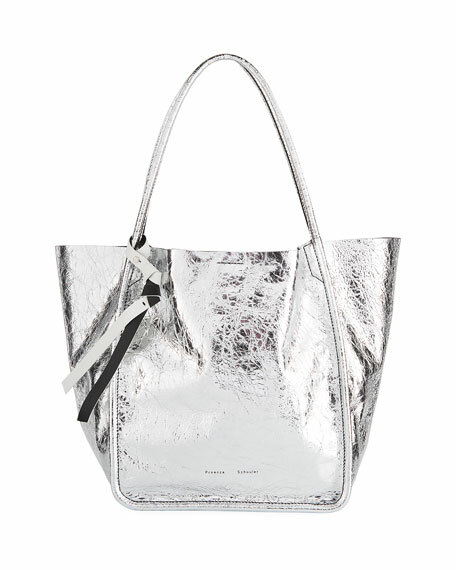 Tubular shoulder straps with hanging knotted charm. 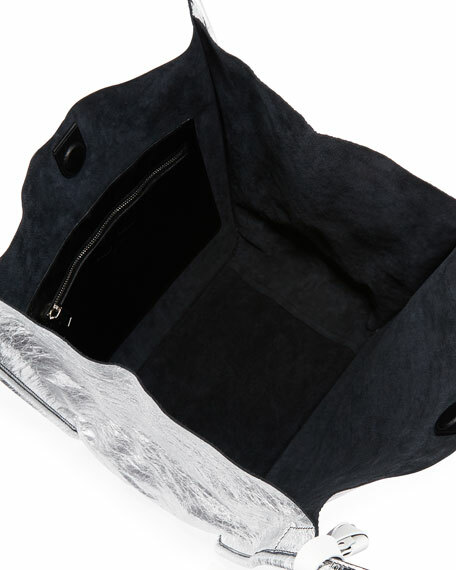 Interior, suede lining; one zip pocket. 11.2"H x 12.3"W x 8."D. For in-store inquiries, use sku #2481623.